The course has over 20 different obstacles, such as the Nepalese bridge, a hanging climbing wall, 100 m zip line, crossbeam, a jump and much more. 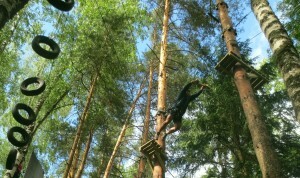 The adventure course is waiting for adrenaline junkies, come and climb on trees 9 m from the ground! The adventure course is also suitable for children from 12 years of age if they are at least 140 cm tall. Completing the course takes a couple of hours. 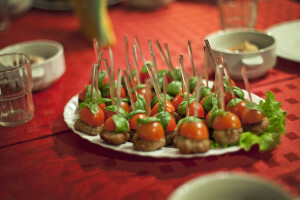 In case of larger groups, the course can take up to five hours, combined with team building games and an awards ceremony. 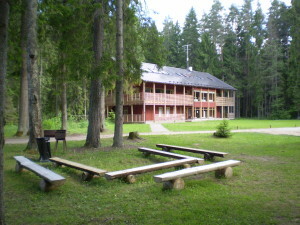 The adventure course can also be used at night. Climbing around trees in pitch black darkness, the only illumination being head lamps, is a thrilling and mystical experience. The most comfortable clothing for the adventure course is a long-sleeve top and long pants. Hiking boots, sports shoes or sneakers are the best footwear for the course. What is the price of the adventure course? 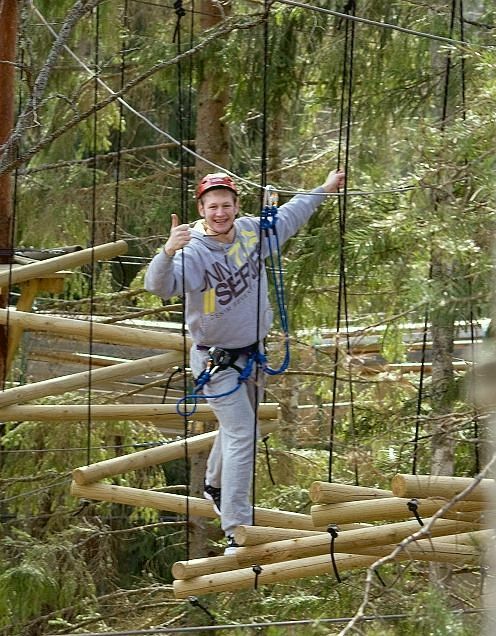 Completing the adventure course with an instructor costs 18€ for adults and 12€ for students. 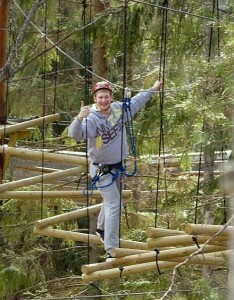 If you wish to tackle the adventure course at night, contact us for a price offer. The price includes safety equipment, basic instruction and a guide.